Dickens’s whole career and achievement were singularly consistent. Though he grew and developed, he never lost the living sympathies that lie at the heart of his greatness. Those sympathies were rooted in an almost endless relish for the richness and variety of life and of human nature, a love of experience that exulted in the pure vividness with which things are themselves. 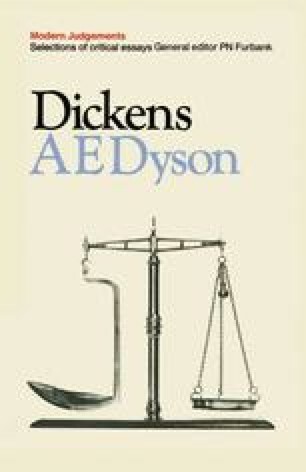 Dickens liked and disliked people; he was never merely indifferent. He loved and laughed and derided and despised and hated; he never patronized or sniffed He could be desperately unhappy; he was never only bored. He had no fastidious shrinkings, no snobberies, no dogmatic rejections.